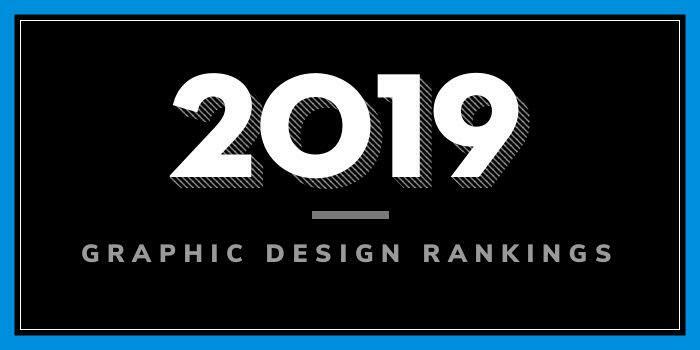 Our 2019 rankings of the top 5 graphic design school programs in Indiana. For an explanation of the ranking criteria, click here. 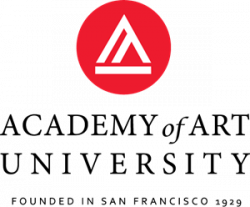 The Herron School of Art + Design at Indiana University-Purdue University offers BFA and MFA degrees in Visual Communications Design (VCD). BFA program highlights include access to collaborative classrooms and eight VCD studios, the opportunity to enhance the degree with a Minor in Book Arts or Studio Art and Technology, and classes taught by faculty who are working professionals in the field. VCD students also have access to research and studio spaces including the Think It Make It Lab, woodshops, photo lighting studios, book arts studio, and the Herron Art Library. The final semester of the BFA program culminates in a capstone project that students develop with a focus on either service experience or digital experience design. A shared senior exhibition is also part of the final semester. In the seminars, methods, and action research studios, students will “develop knowledge, skills, and practices” that will be applied in the final thesis research project. Herron alumni have landed positions at “powerful” companies such as Google, Humana, Samsung Research America, and many others. Founded in 1820, Indiana University Bloomington (IU) is the flagship campus of IU's seven campuses and two regional centers statewide. The school serves more than 94,000 students (university-wide) enrolled in more than 550 academic programs and more than 200 undergraduate majors through 16 degree-granting colleges and schools. The School of Art, Architecture + Design (SOAAD) offers 14 areas of study. Among them is Graphic Design. Other program highlights include a mandatory creative core, nationally and internationally recognized visiting artists through the McKinney Visiting Artist Series, and access to The Letterpress Studio, which has 90 cases of wood type, 120 cases of metal type, and more than 50 years of history. Established in 1918, Ball State University (BSU) enrolls around 22,000 students from every state, two U.S. territories, about 55 countries, and every Indiana county. The school has more than 300 programs across 10 colleges. The College of Fine Art, School of Art offers several programs for aspiring graphic designers. Offerings include a BFA in Studio Art with an Emphasis in Visual Communication (Graphic Design) and a BS in Graphic Arts Management. Per the school, the BFA curriculum develops students “skills, perceptions, and problem-solving abilities in traditional and digital media.” Students will “work with professors to thoughtfully edit and revise” their work for presentation and “translate” their “personal growth into a unique portfolio.” Course highlights for the program include Computer Art, Painting, Printmaking, and Type and Image. A Visual Communication Practicum, Senior Design Thesis, and Art Internship are also part of the program. The BFA is a professional degree that prepares students to enter the design world upon graduation. The BS in Graphic Arts Management prepares students to enter the field of graphic communications. The program covers topics such as Commercial Printing and Publishing, Computer Applications for Creative and Managerial Functions, Prepress, Estimating, and Printing Management, Printing Materials and Equipment, and Quality Control and Production Control Systems. Other program highlights include hands-on experiences, a required Minor in Business, and a required internship. Graduates of the program work at advertising firms, packaging firms, publishing companies, specialty printers, and more. Founded in 1859, Valparaiso University (Valpo) serves around 3,800 students enrolled in 70 undergraduate degree programs and interdisciplinary options throughout five undergraduate colleges as well as programs in the Graduate School and Law School. The College of Arts and Science is home to 23 academic departments, making it the largest of Valpo’s colleges. The Art Department offers BA degrees in Art, Digital Media Arts, and Studio Arts. A Minor in Art is also available. All majors in the College of Arts and Sciences complete at least 124 total credits to earn a bachelor’s degree. The BA in Art requires 30 hours (minimum) in Art, the BA in Digital Media Arts requires at least 45 hours n DMA, and the BA in Studio Arts requires at least 45 hours in Studio Arts. The Minor includes courses in Art History, Design, and Studio Art, totaling 15 credits. Students in all programs have flexibility to choose the courses that most closely reflect their interests and internships are encouraged, but not required. Sample courses include 2D and 3D Design, Design and Digital Media, Digital Photography, Digital Video Art, Figure Drawing, Graphic Design I and II, Motion Graphics, Printmaking, and Web Design. Both the BA in Digital Media Arts and Studio Arts culminate in a senior seminar and exhibition. Established in 1869, Purdue University is home to more than 41,500 students from all 50 states and nearly 130 countries. The school offers hundreds of programs through 13 colleges and schools. The College of Liberal Arts is home to the Patti & Rusty Rueff School of Design, Art, and Performance, which houses the Department of Art and Design. Here, students can enroll in the Visual Communication Design (VCD) Program, which leads to a BFA or an MFA in VCD. Course highlights for the BFA program include Contemporary Art, Digital Media I: Photography and Digital Imaging, Electronic Media Studio, Modern Art, and Video Art. An Art and Design Internship and Senior Portfolio Presentation are also part of the program. Graduates of the BFA program goon to land positions such as Designer/Web Graphic Designer, Design Production Artist, Graphic Artist, Graphic Designer, Visual Communications Specialist, Visual Designer, Web Solutions Developer and many others. MFA course highlights for the 60-credit non-thesis option include Critical Theory (three credits), Research Methods (three credits), and Visual Communication Design (18 credits). Students will complete Directed Project Research in Design (three credits), MFA Project Research in Design (12 credits), and the MFA Graduate Exhibition (three credits). The six-credit thesis option includes the 6-credit Research MFA Thesis, along with courses such as Advanced Poster Design, Advanced Typography, Advanced Web Design, Color Aesthetic and Research, Information Design, and Problems in Visual Design. VCD MFA Graduates go on to land Associate, Coordinator, Director, Manager, and Specialist positions.